A heavy downpour caused flooding along the main streets of Lautoka City yesterday. 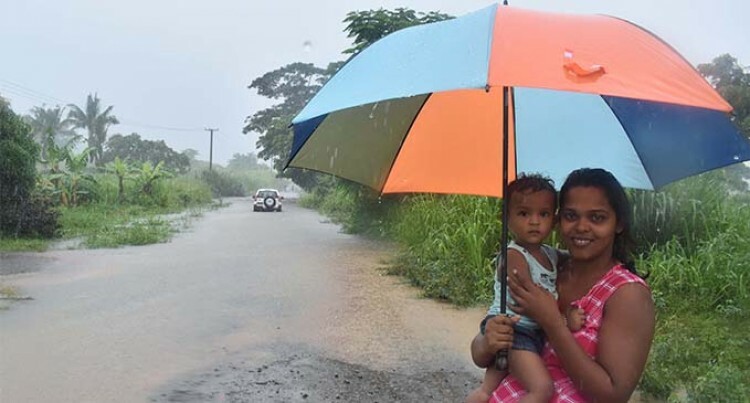 Despite numerous efforts by the Lautoka City Council flood waters rushed through the main streets of Lautoka City and at Natabua. Council chief executive officer Jone Nakauvadra said more than 20 workers were trying to clear the drains and waterways. “These flash floods are unpredictable, our workers have tried their best to at least minimise the damage. “This situation has caused a lot of difficulties for motorists as well, especially since school starts tomorrow,” Mr Nakauvadra said. Mr Nakauvadra is calling on support from members of the public and other organisations/ stakeholders to work hand in hand to maintain cleanliness and avoid blockages. “People must refrain from throwing their rubbish, use appropriate bins that are provided by the council or practise recycling their rubbish. Rubbish is the main cause of the blockages,” Mr Nakauvadra added. “We must maintain cleanliness throughout.